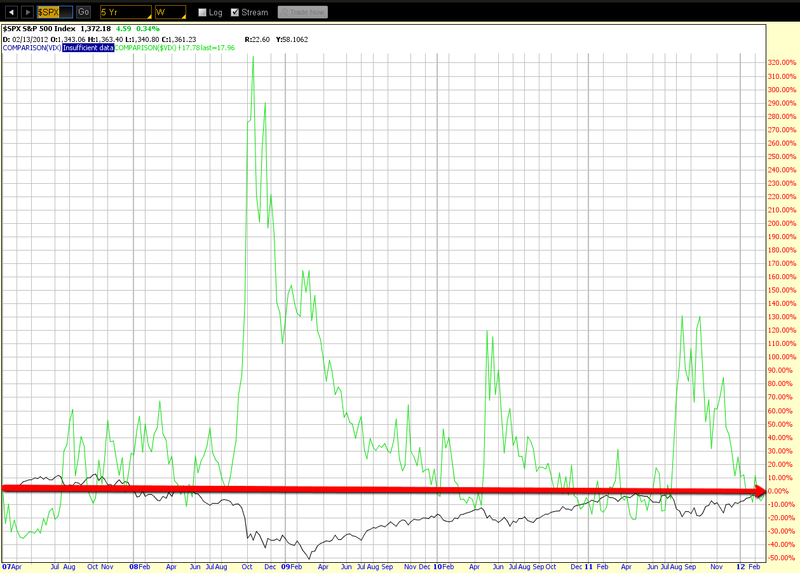 The 5-Year Weekly chart below shows a comparison of the S&P 500 Index to the VIX. 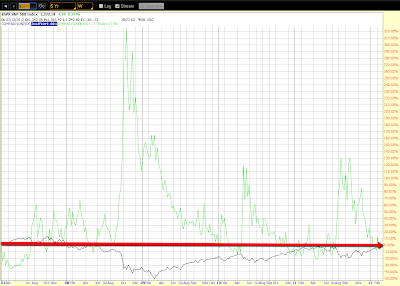 We can see what can happen when price has traded around the levels at which they are currently situated. On each of the past four years, price has spiked rather quickly from these levels by large percentages on the VIX, sending the S&P 500 plunging. 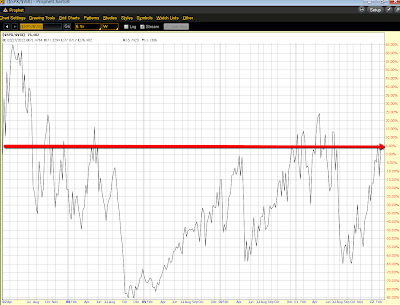 The next 5-Year Weekly chart below shows the ratio between these two indices. 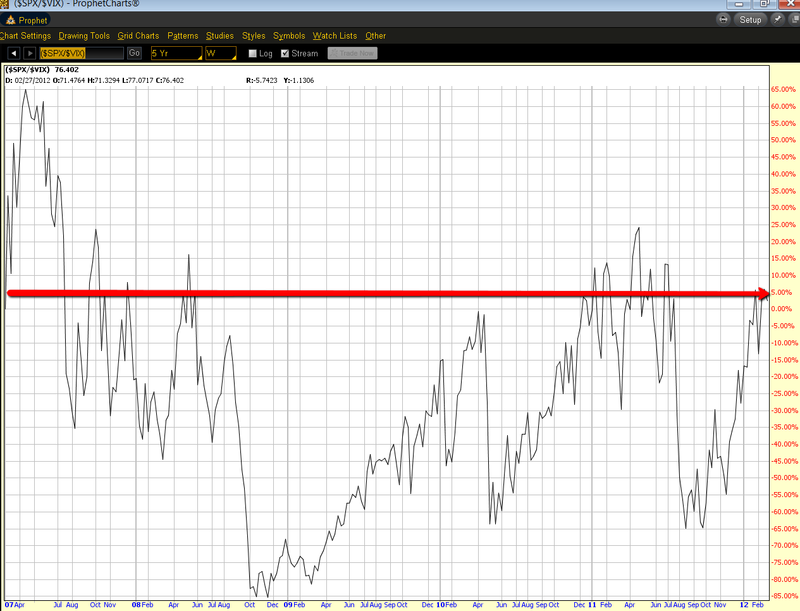 The S&P 500 is at a major resistance level compared with volatility. No doubt we'll see whether history (this cycle) repeats itself over the next days/weeks. With spikes occurring in four of the past five years from current levels, I'd say the odds of another spike this year are running around 80%…possibly sooner rather than later.